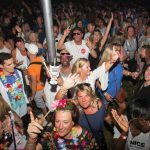 Come & enjoy 12 hours of soulful fun & frolics from 11am, with the Soulstice Crew in our 3 arenas of music with over 30 DJs & our Main Stage live acts. 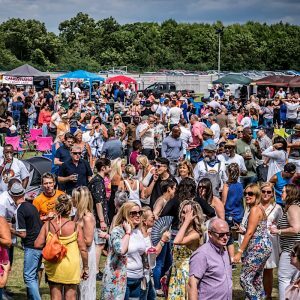 There will be licensed bars, cocktails, food outlets, merchandise stalls, free kids play zone, entertainers, gazebo/picnic area, limited camping & car parking. We also have our handy free Soul Bus shuttle to & from High Barnet tube station on the day. We’ve now released a strictly limited number of discounted 1st Phase etickets for this annual fundraising event which will be taking place on Saturday 23rd June 2018 in the green surrounds of OE’s Memorial Playing Fields, Barnet. Once again this will be doing it all in aid of Cherry Lodge Cancer Care & in memory of Andy Weekes, raising money with a great big smile! Limited ADD-ON CAMP SOULSTICE eTickets also available! Prices are per person & you must also purchase an Event Only eticket with this. * VAT is included. Booking fees apply. All U18 eticket holders must be accompanied by their parents/legal guardians with valid etickets on the day of the event & we will be running a Challenge 25 Policy at the entry gates & in the bar/cocktail areas. Car parking is limited on the day – more info here. Please remember this is an Advance eticket only event & none will be available to buy on the day. This event has SOLD OUT for the past 5 years… You snooze, you lose.